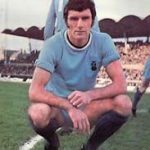 John McCormick writes: Pete Sixsmith makes reference to events at and around Coventry City FC in this piece. The Coventry Telegraph is a good source of information and includes a countdown clock which will tell you how long it will be until CCFC play their last game at the Ricoh – and maybe in the EFL – unless something changes. At the time of writing it’s a little over two weeks. No supporter anywhere deserves that. It has to be said that Coventry City are somewhere near the bottom of the list when it comes to sides that this writer has a positive view on. In fact, only Newcastle United, Middlesbrough and Leeds United are below the Midlands side and we all know why. 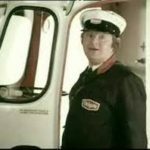 So, lets not mention the events of May 19th 1977 and the connivance of Jimmy Hill and the players of Coventry City and Bristol City in confirming our relegation at Goodison Park and move on to show some sympathy for their followers as they try to deal with a situation which makes Brexit look as easy as putting one foot in front of another. Currently, they have little idea of where they will be playing next season or even if they will be playing next season. They are tenants of a rugby union club called Wasps, who were based in the Surrey suburbs of London until they took over the Arena on the edge of Coventry. Wasps themselves lost £10m last year and are on course to lose even more this. Rugby Union clubs do not make money. Of the 12 teams in their top league, only Exeter turned a profit while the others all suffered losses that but for the presence of wealthy benefactors, would prove difficult to sustain as a business. City’s owners SISU, are probably the least fan friendly in the 92. Imagine a combination of the Glazers, Mike Ashley and any owner of Notts County. They refuse to talk to City fans, refuse to put money into the club and make demands of the council that can at best, be described as inflammatory. 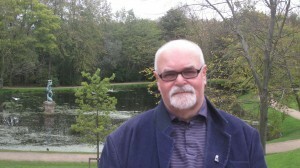 Sisu have threatened further legal action against Coventry City Council despite having been beaten in the High Court over their labyrinthine claims that the Council have somehow cheated them. They describe themselves as “a distressed debt fund which therefore batters people in court” which is fine as long as you win. They didn’t, so now they are suing the council. Nice people, eh? And we complain about our previous owner who has wiped off a considerable amount of the money that he loaned the club over his tenure. 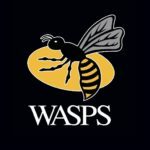 Wasps have not entered negotiations about extending City’s lease and at the moment the Sky Blues are potentially homeless next season. EFL rules clearly state that they must have a suitable stadium to play in by the end of May and if not, they will probably be expelled from the competition for 2019-20 leading to all kinds of complications. So I have sympathy with their followers when it comes to this. There but for fortune go you and I, as football clubs become playthings of hedge funds, financiers, mysterious Asian/American consortiums, Russian oligarchs and dubious Europeans, not forgetting some of the chancers from this country who seek to ruin the reputations and destroy the likes of Blackpool, Notts County and Bolton Wanderers. I first saw them at Roker Park on the 23rd March, 1968, a few days after my 17th birthday. 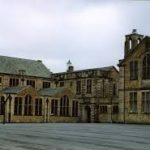 I was wasting my time at Bishop Auckland Grammar School and earning money by delivering Sunday papers for Jimmy Wilson, who was John Tennick’s brother-in-law and the step father of master criminal George Reynolds – add him to the list of chancers from the previous paragraph. 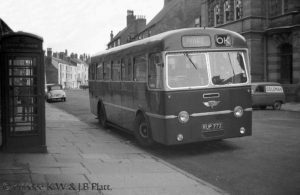 I went to the games with school chums on the OK bus from Bishop Auckland and sneaked into either The Wolseley or The New Derby for a pre-match pint before scoffing a pie from the Church Hall on Roker Baths Road. I stood in the Fulwell End to the right of the goal about half way back where the moaning was considerably less than that experienced in the upper levels of the East Stand on Tuesday night. We were in trouble, sitting 21st in a league of 22 with only Fulham below us. 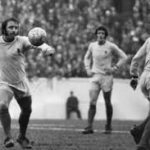 Ian McColl had been relieved of his duties and Alan Brown had been enticed back from Sheffield Wednesday, themselves relegation rivals, and a second demotion under the Bomber was looking more than likely. McColl, or more likely the Board of Directors which was then made up of local laundry owners, builders and fish merchants rather than hedge fund managers, had moved on Jim Baxter and Neil Martin. Baxter went to Nottingham Forest, whereupon Bacardi sales in the East Midlands shot through the roof, while the much quieter, far more professional Martin was sold to Coventry, with the club taking a decent profit on a man who had scored 46 times in 99 appearances for Sunderland. He went on to become the first man to score 100 goals in Scotland and England and was a very generous host when a group of us visited his “home” club of Tranent Juniors a few years ago. Brown brought in Calvin Palmer from Stoke City and promptly dropped him from a crucial game at Bramall Lane after he said that he didn’t want to go to the pictures with the team because he had already seen the film. Three Ernies in the team tells you a lot about the working class background of the game in those days. Most players had been born during or just after the war, when Ernie was a popular moniker and some may have been named after Ernie Bevin, a giant of the Labour Party and a former Trade Union leader. Not many Ernies about now…..
Cec went off after 10 minutes and was replaced by Malcolm Moore, a Silksworth lad who cut his footballing teeth at Dawdon Juniors and signed on for us in 1965. Short of stature but fleet of foot, he was a consistent scorer for the Reserves and was thrust into the spotlight in this game. Up against the ferocious Maurice Setters, he did well and latched on to a ball in the 59th minute to score his first goal at senior level for the club. There was a platform to build on after a crucial 2-1 win over the Blades the previous week but then, as now, we failed to do so and Ernie Hunt levelled 15 minutes later to send the majority of the 26,286 crowd home mildly disappointed. The man on the OK bus with the transistor radio permanently attached to his ear shouted out the other scores which were not good and we found ourselves in 21st place and facing a relegation battle yet again. We came through pretty well. The next week we went to Nottingham Forest and were 3 up at half time, followed that up with a midweek draw at The Hawthorns and came back to Roker to beat Stoke City 3-1 with Calvin Palmer cementing folk hero status by playing most of the game in goal after Monty was injured. We wound the season up by winning at Old Trafford and stopping United from retaining the league title, which went to rivals City who won their final game 4-3 at The Sports Direct. My memories of Coventry are not great but I would welcome a repeat of the scoreline the last time they visited us in February 2007, when Dwight Yorke and Carlos Edwards (what a pair of fine players) scored in a 2-0 win. This took us up to 7th place in the Championship and we continued the winning run we had been on since January and which was to take us to the title under Roy Keane. Carlos Edwards goal posted on Youtube byJoshua Dunn Feb 2007. If there is any copyright claim, not answered by “fair comment” on the video or images used in this post please let us know and we will remove or acknowledge as requested. That game was my first sight of Coventry too. I was in the Fulwell End and Monty let Ernie Hunt’s weak shot go past him, thinking it was going wide for a goal kick. It went in off the right hand post and Monty was crestfallen. Funny, I didn’t see either you or Pete there…! I was in the Fullwell End, too, and from my vantage point I also thought it was going wide. I don’t think poor Monty could believe his eyes. It was a couple of weeks past my 20th birthday (Sixer was still just a bairn…). I had an honorary “auntie” (friend of my parents) who lived on Inverness Street, right next to Roker Park, and I went there for a cup of tea and sympathy before I caught the bus home to Bishop. I got the tea but I don’t think she cared that we only picked up one point.